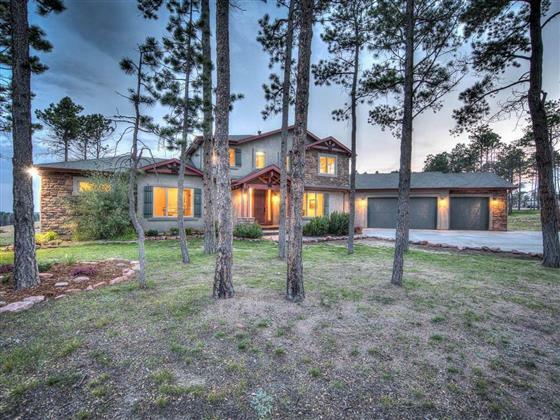 This Black Forest beauty holds sprawling views of Pikes Peak, a main level opulent master and a 2-story garage! Walkout onto a south-facing Trex deck with a retractable awning. Along with the sunny south-facing wall of windows, this home is bright, warm, inviting and perfect for entertaining. The exterior has been freshly painted and the hardwood floors were recently resurfaced. Gorgeous new granite counter tops have been installed in the kitchen, wet bar, and bathrooms! Spacious walkout basement includes a theater room and great guest kitchenette and wet bar.